Today was a good day. Nothing special happened. I didn’t receive great news. My toddler and 3 month old weren’t even particularly well behaved. But it was a good day because I baked a cake with my son, Theodore, and he reminded me of a very special truth about love. Let me back up. My kids have been grouchy all week, and I have no clue why. Nothing bad happened, they aren’t sick, and they haven’t been deprived of the things they need on a daily basis to remain happy and healthy. After several days of this, one can become pretty grumpy themselves. But, today was different. Today I decided that no matter what, Theo and I were going to bake a cake together. Next, I got out all the ingredients, I pulled out all the utensils we would need, I preheated the oven, pulled out our aprons, and braced myself for what I was convinced would be a terrible experience. I went to get Theo who was playing in his room and told him we were going to bake a cake. I told him that I really wanted to have fun with him. As I said those words, a lightbulb went off: I wasn’t just going to have fun, I would be fun. It may sound like having fun and being fun are the same thing, but they couldn’t be more different. If I had simply made up my mind to have fun, it could be derailed by almost anything: Theo getting fussy, Theo making a mess, the cake not turning out, etc., etc. But determining to be fun meant that no matter what, I was going to keep a fun attitude. I’m not sure if it was my new outlook, or if my kid is just really into baking, but things actually went really well! 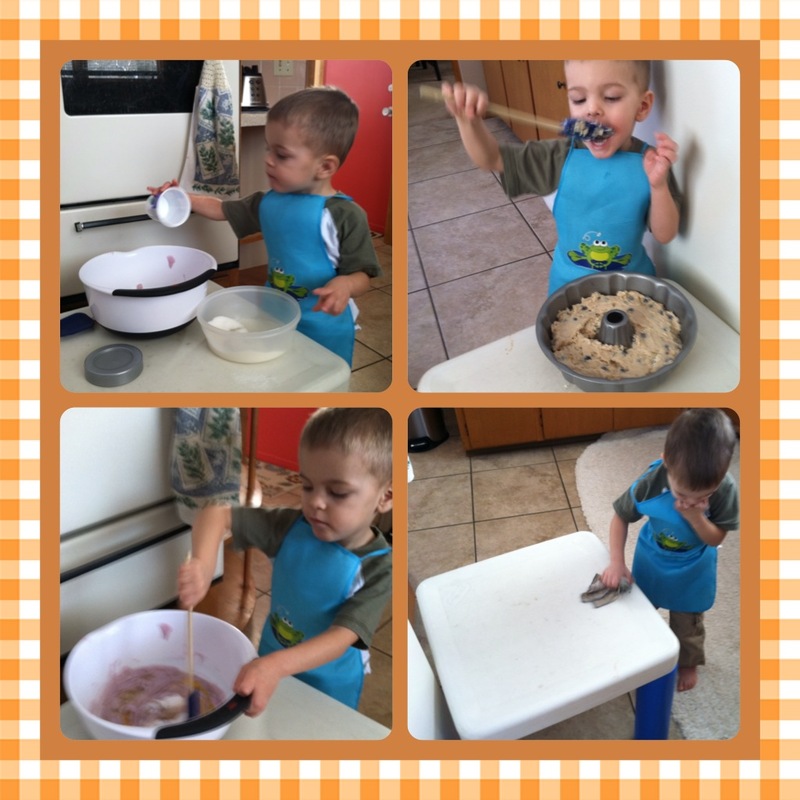 We both had a great time being in the kitchen together and creating something yummy. And the proof, as they say, is in the pudding…I mean cake. But what does all this have to do with love? Well, the realization that I had with Theo reminded me that the same principle applies to love. It is so, so easy to fall in love. Just look at our culture. We are obsessed with falling in love. Whether it is the latest Nicholas Sparks book/movie (please, just stop already), another season of The Bachelor, or another online dating service popping up (I read in Forbes that there are more than 2,500 online dating services online in the U.S. alone, with 1,000 new online dating services opening every year. ), it is clear that we love to fall in love. But what is it that separates those of us who can fall in love (everyone) from those who are able to stay in love? And what does this have to do with me baking a cake with my son? I’m so glad you asked! The key to making it work is not being loved, but being loving. Just like my expectation to have fun was based on a lot of external factors that may or may not add up to my having fun, an expectation to being loved won’t always make you…well…feel loved. That is because we are all human and we mess up from time to time. However, changing your expectation from being loved, to being loving can have a dramatic and lasting impact on your relationship. 1. It takes the power out of uncontrollable situations and unpredictable people and puts it back in your hands. You have decided to love and to have love in your life, and you aren’t going to allow anyone or anything to take that away. 2. It diffuses bad situations and hurtful people by not giving them more bad behavior to respond to. When the people we love act badly, it is easy to flare up at them, but that is only a good tactic if you want to escalate the situation. Instead, choosing to be loving demands that they raise the level of discourse and meet you on your loving level, or risk looking foolish. Next week is Valentine’s Day and a perfect opportunity to try this out. When he doesn’t bring you the right gift, or she doesn’t respond to your gestures the way you had hoped: be loving. Or maybe you are really struggling in your relationship right now and spend most of your time together in silence: be loving. It isn’t a guaranteed fix, but I do know one thing – it is hard to be around someone who is constantly loving you before you start to reciprocate. Try being that loving person, today. This, of course, is all one gal’s opinion, but since you are reading my blog I assume you had to be prepared for that inevitability. I’d love to hear back from you on what you think is crucial to making a relationship work. Or maybe you tried to incorporate this idea into your own life and had a positive result. Let me know! And in honor of February 14 being Valentines Day, I thought I’d take a few moments to share my 14 favorite ways my husband, Mike, is loving to me. So here goes. 1. You bring out my most original, authentic self. I don’t know how you do this, but thank you. 2. In you, I have found a perfect match for my goofiness and weird (some would say off-putting) humor. Although, I’m not sure you appreciate these things in me so much as your strange behavior is simply on the same level as my strange behavior. 3. Thank you for being the kind of parent to our boys that all wives want their husbands to be, but so few actually are. It still amazes me how involved you choose to be with every aspect of parenting. Our boys will grow to be men we can be proud of because you are their dad. 4. Thank you for never truly getting mad at me for my disproportionate coffee pours. I know you know that I always pour myself more coffee, and yet you never make me feel bad about it. 5. Thank you for believing in me more than I believe in myself. You have more confidence in me than I think I’ve proven myself worthy of, but none-the-less, you continue to be my greatest champion and supporter. 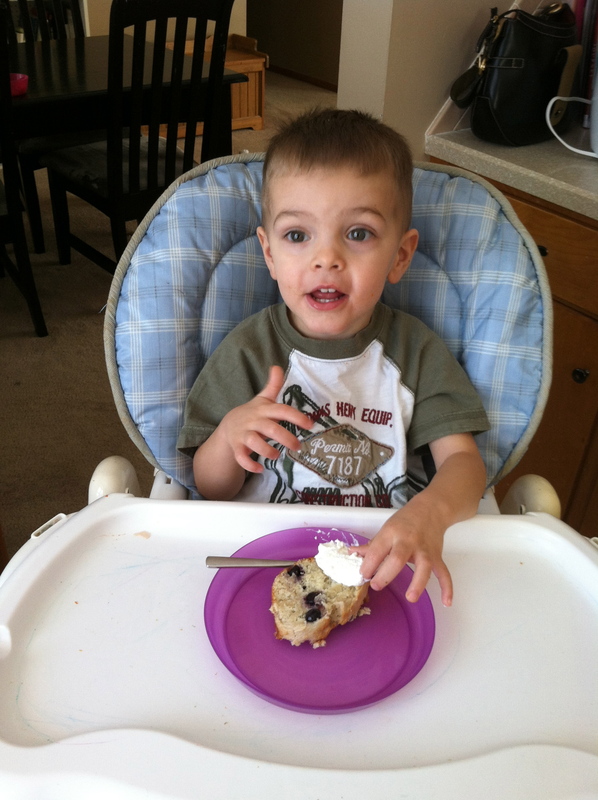 Whether it is blogging, meeting new people, or birthing our sons, you inspire me to do more than I feel capable. 6. We are so, so different, but somehow love the same things. Thank you for sharing my love for coffee, breakfast food, beach vacations, and watching movies. 7. Thank you for understanding my need to have some time to myself every so often. You are always so kind and willing to give me time to read, do yoga, or go for a walk. Those moments renew and refresh me and I am so thankful that you give me that time without a second thought, especially knowing that, while I am energized by alone time, you are energized by others. 8. Thank you for always thinking I’m pretty. Even when I’m not. 9. I love that I am married to the only person who I could imagine being stranded on an island with and not go completely insane. I attribute this to your good looks, your great sense of humor, and my confidence in your survival skills. Plus I just genuinely like you.Thank you for this. 10. Thank you for being the perfect blend of professional and handy. You go to work in your dress shirt and tie, but come home and fix the kitchen sink, re-roof the house, plow snow from the driveway, and build cool things in your workshop. You do it all. 11. Thank you for always letting me sleep in when you are home. I mean it. 12. There aren’t many men who would be as flexible as you are when it comes to the meals I make. Thank you for being so supportive of my decision to become a vegetarian, and to eat so many meatless meals. 13. Thank you for all the great neck and shoulder massages. Wait, that’s not true. Your massages are terrible. This is an area in which you can improve babe. 14. And finally, thank you for always, in every circumstance and in every mood, loving me. It has made me better loving you … it has made me wiser, and easier, and brighter. This cake is a great way to bake with your toddler. It calls for two small containers of yogurt which you then use to measure out most of the other ingredients. Preheat oven to 375°. 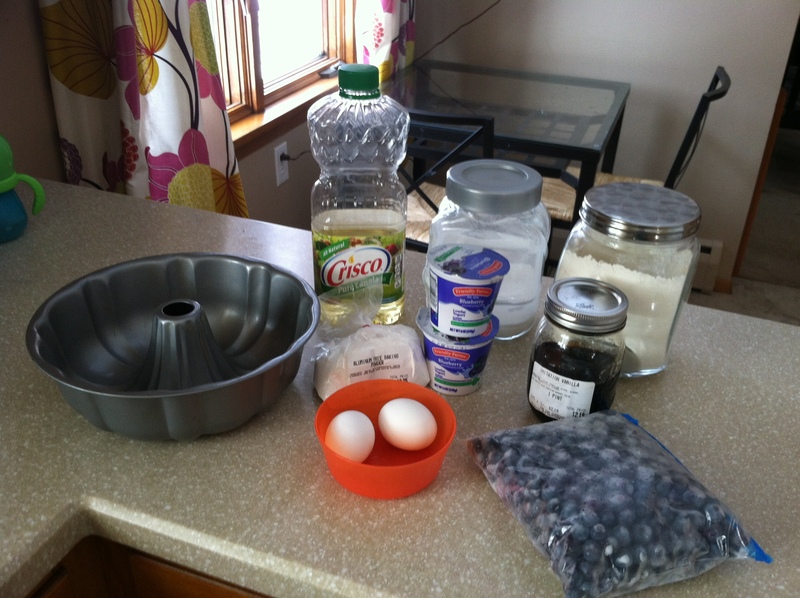 Grease a 9 inch cake or bunt pan. Combine yogurt, eggs, sugar, vanilla and oil. Combine flour and baking powder in another bowl, then mix everything together. Don’t over-stir. 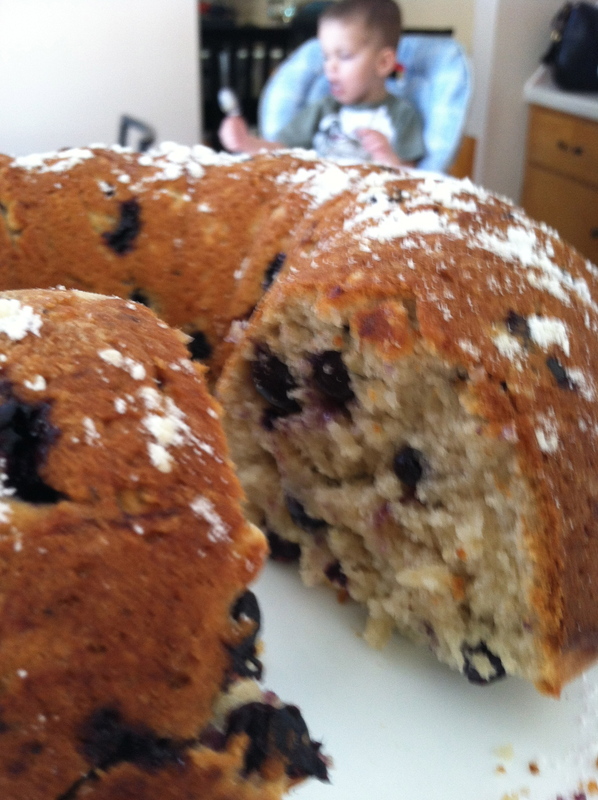 You can also add two containers of blueberries, chocolate chips, or nuts. Bake 35 minutes. Garnish with whipped cream, more yogurt, or fresh fruit. 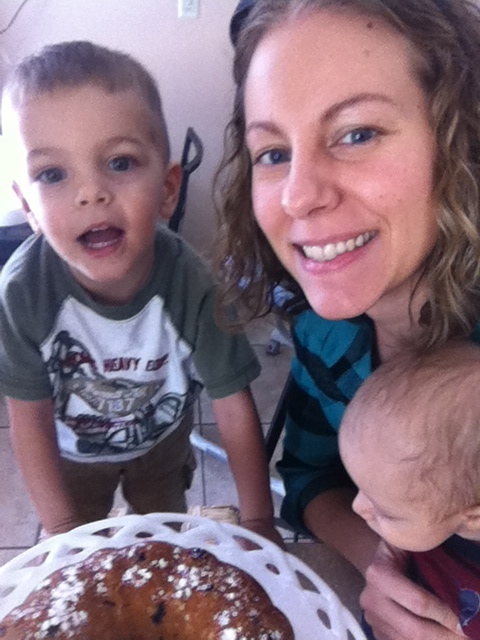 Thank you Rebekah for the sweet story of “baking” a cake with your boys. It was so special to read, as it brought me to tears. Thinking on the joys of motherhood and now being a grandma. You are so right..it is not having fun but being fun, not being loved but being loving…you worded that perfectly! What has made my almost 37 years of marriage fresh each day is the example of Christ. How he took two hearts and has bonded them together. In laughter and in tears Christ continues to show Chuck and I just how special life is in Christ. Thank you again! I enjoy your blog so very much. I’m so happy you’ve enjoyed the blog enough to become a follower! Thanks for reading and taking the time to post a comment :-). I’m so glad you were inspired to create your own list! Let me know how it goes over :-).